You’ll get hundreds of advices when you head out to find the criminal lawyer in your city. But you might not take them too seriously as they came from non-professional individuals, such as, your friends, family members, colleagues etc. Here we have listed top 10 most important things to consider while choosing/hiring a criminal lawyer. Be certain that the attorney you intend to hire actually handles criminal cases. For example, you can consult Passi & Patel criminal lawyer for help. The firm only deals with criminal cases, not civil cases. Be certain that the Mississauga criminal lawyer you intend to hire handles the particular type of criminal case that you have. If you are charged with murder, don’t hire a lawyer who does only drunk-driving cases. Find a lawyer instead who has experience handling murder cases. Avoid hiring a criminal attorney who promises you a specific outcome. It is impossible for a lawyer whom you have just met and who knows nothing about your case except what you have told him to tell you how your case will turn out with any degree of certainty. Be certain that the Mississauga criminal defense lawyer you intend to hire has a lot of experience handling your particular type of case. 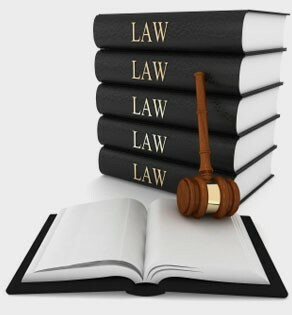 If your goal is to resolve your case without a trial, you may not need to hire the best criminal trial lawyer in town. You may want to look instead for someone who has experience successfully negotiating your particular type of criminal case. If you are hiring certain Mississauga criminal defense lawyer to work on your case, make sure that that specific lawyer and not one of her associates is the lawyer who will actually be working on your case and going to court with you. Don’t hire a lawyer who is pressuring you to go to trial if your goal is to strike a satisfactory deal with the prosecutor as soon as possible. Moreover, don’t hire a lawyer who is pressuring you to take a plea bargain if what you really want is a trial. Be sure that the criminal lawyer you intend to hire has time to work on your case. If he is starting a month-long trial next week, he may not be the criminal lawyer best suited to represent you if your case requires a lot of work and your trial date is fast approaching. Be certain that the criminal attorney has a support staff that can adequately handle your case. If the fee being quoted is a lot less than the going rate, is it because the lawyer is just starting out and has little experience handling your particular type of criminal case?